Studies have been carried out, on the structural behaviour of the CTF stud connector and the DIAPASON connector for composite steel-concrete beams joined to the metal structure by nailing. 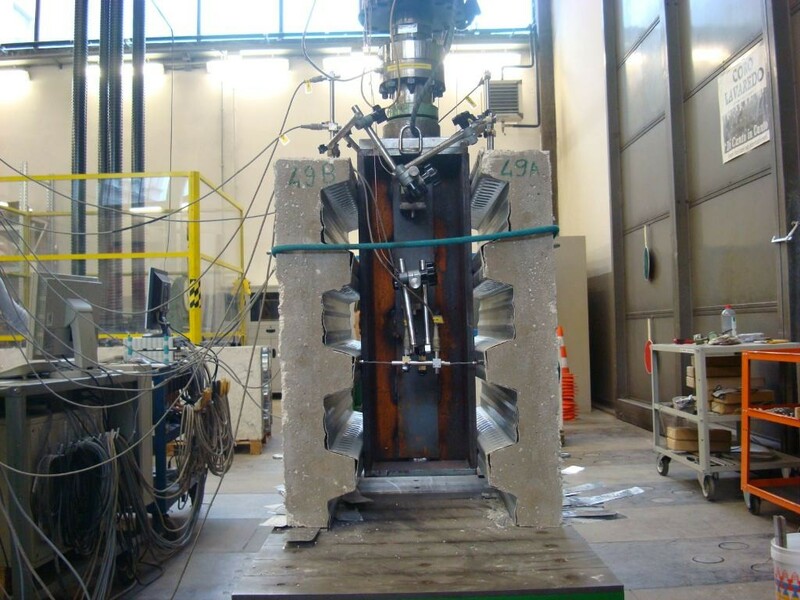 The studies are based on experimental tests carried out on several push-out type samples, including both a solid slab cast directly on the beam and a slab cast on steel profiled sheeting. The tests carried out show optimum performance levels of the two connectors and balanced sizing of the individual parts. Finally, taking into account their characteristics in terms of reliability and ease of installation, the same tests were able to confirm their suitability as valid alternatives to the use of studs directly welded to the base. The tested connection devices ensured high ductility, associated with good plastic adaptation characteristics, and therefore extensive possibilities for the redistribution of stress. The mechanical performance of CTF and DIAPASON connectors in composite steel-concrete floors has undergone an in-depth push-out testing campaign at the Labs of the Engineering Faculty of the University of Padua. The certifying body, SOCOTEC, controlled all the testing stages and interpreted the results, issuing the product Technical Approval for CTF (no. EAB 9659/1) and DIAPASON (no. EAB 9660/1) connectors. Download the approval certificates here.